Some months I struggle with cobbling together a post full of favourites and then others, my picks are glaringly obvious and it's a complete doddle. This time around, it's the latter. The past month was one of the busiest I've had for a while and it felt like I was away more than I was at home. With all that travelling, my makeup bag was stuffed with the same line-up for the whole month and, the new products that I did try, happened to make the cut into my monthly edit immediately after giving them a go. 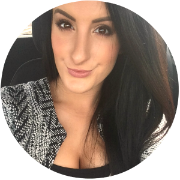 Along with nail polish and lip colour, blush is a product that I switch up more seasonally. In keeping with the richer, redder tones synonymous with autumn, I choose darker, berry blushes and tend to stick to matte finishes. 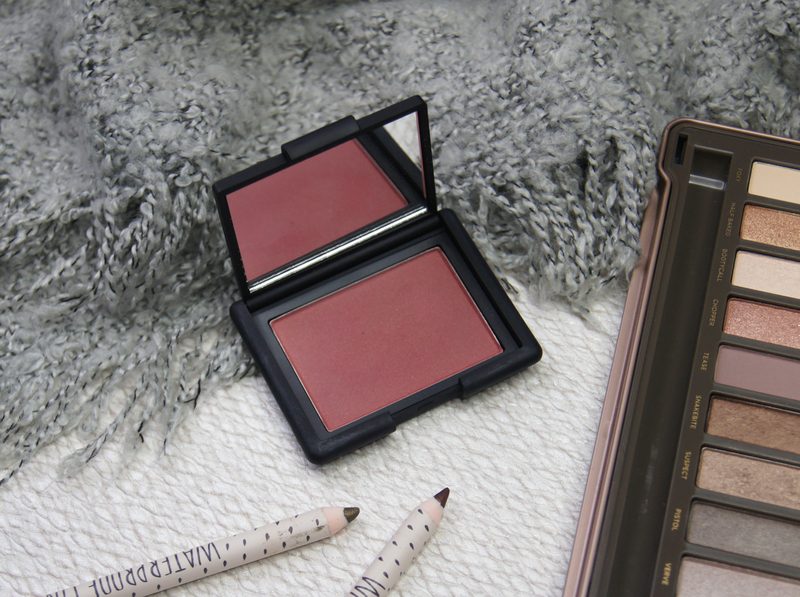 One of my favourites, at the moment, is Nars Dolce Vita Blush. A dusky, rosy shade with a satin finish, Dolce Vita gives such a natural-looking, realistic flush, as though you've been out on a winter walk and the frost has just pinched your cheeks. As you may have gathered from my rather excessive collection of Nars blushes, I have a serious soft-spot for the brand's blush formulation. Highly pigmented, finely-milled and buttery smooth, the texture is one of the best of any brand out there. Although the strong colour can be layered to give an intense look fairly easily, the blushes never give a patchy finish or cling to dry areas. Perfect when the cold, bitter weather can play havoc with skin texture. We all know about the beauty benefits of coconut oil by now; bloggers, magazines and models galore always harp on about the magical results it can deliver, especially for hair. So, it's no surprise that a tonne of brands are harnessing the nourishing powers of the coconut, injecting it into their lotions and potions. 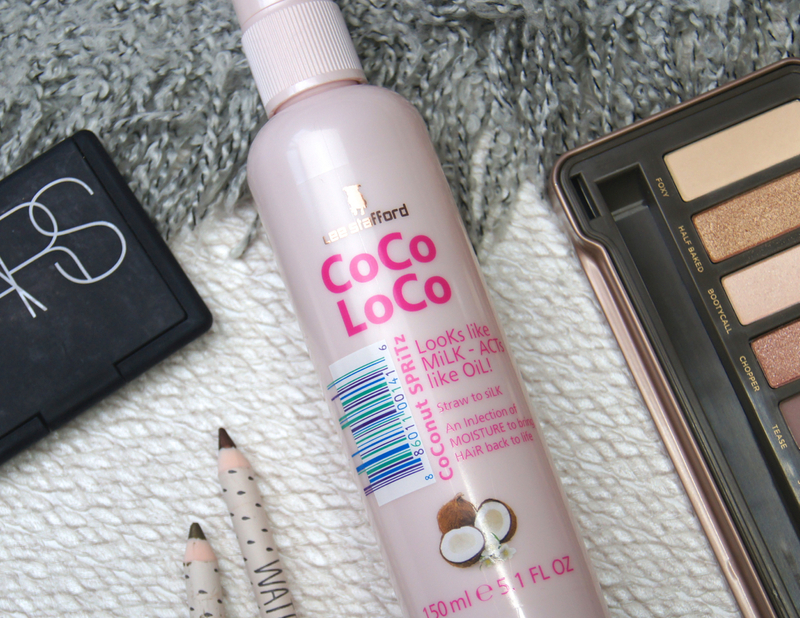 To be honest, any hair products with a coconut fragrance have me hooked from the word go, so it was a no-brainer that I had to add the Lee Stafford Coco Loco Coconut Spritz to my Boots basket, as soon as I spotted it. Essentially, this is a leave-in, conditioning milk enriched with coconut oil that promises to moisturise, detangle, smooth, add shine and revitalize. What more could you ask for, really? Having such a lightweight formula, it never weighs down my locks or feels like it's just coated the hair in a layer of grease. Instead, it just does everything it says it will and leaves hair looking and smelling great. Long-term, I don't know if it will make a huge difference to the quality of my barnet, but I'm enjoying it all the same. Unfortunately, my clear-skin luck ran out during October and some small bumps cropped up under the skin on my cheeks, an area where I've never had issues before. With no new products to blame for the unwelcome guests, I put it down to the amount of traveling I'd done and the fact that I was constantly eating out. 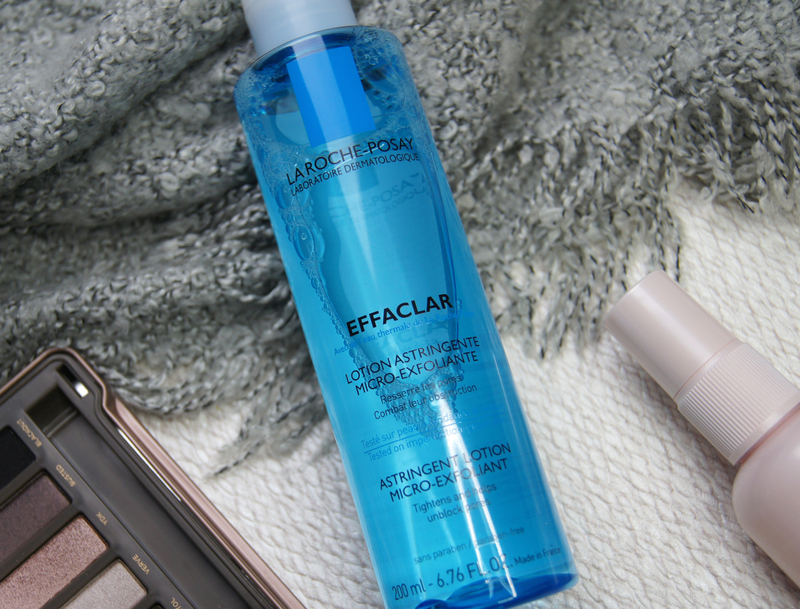 Just in time to bring my skin back from the brink, I received a bunch of goodies from La Roche-Posay at one of their events, including the La Roche-Posay Effaclar Clarifying Lotion. Although the word astringent scares me, this is actually a fairly gentle toner that helps to clear the skin, without totally stripping it of moisture. Containing LHA, which is similar to Salicylic Acid, it works to unclog pores, reduce inflammation and kill the bacteria that cause break-outs. Only applying the lotion on the areas that need it, I've been using this toner every evening for a fortnight. Straight away, the blemishes reacted well to the treatment and now they're almost cleared up completely. Pleasantly surprised that it hasn't dried my skin out or caused any irritation, I'm very impressed by this unexpected, skincare saviour. Look out for a more in-depth post about the La Roche-Posay Effaclar range, coming soon! Like everybody else who's been caught up in the Urban Decay Naked Palette hype, I rushed into grabbing the first three of the brand's cult, eyeshadow line-up (I'm still proud of myself for showing some restraint and not purchasing the Smokey version...yet). In all the commotion, rationality went out of the window and I've ended up with three palettes that don't see much action, sitting in my drawers. 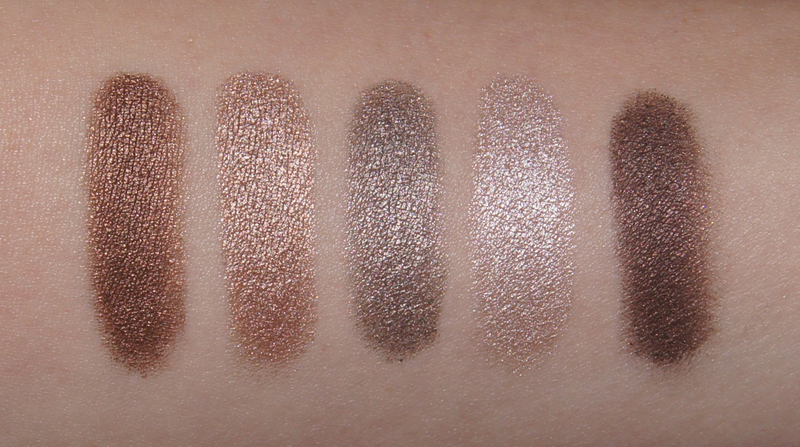 It's never the formula of UD's eyeshadows that puts me off using them, as they're super soft, have amazing shimmer and blend like a dream, despite occasionally creating a bit of fall-down under the eyes. It's the assortment of colours in each palette. 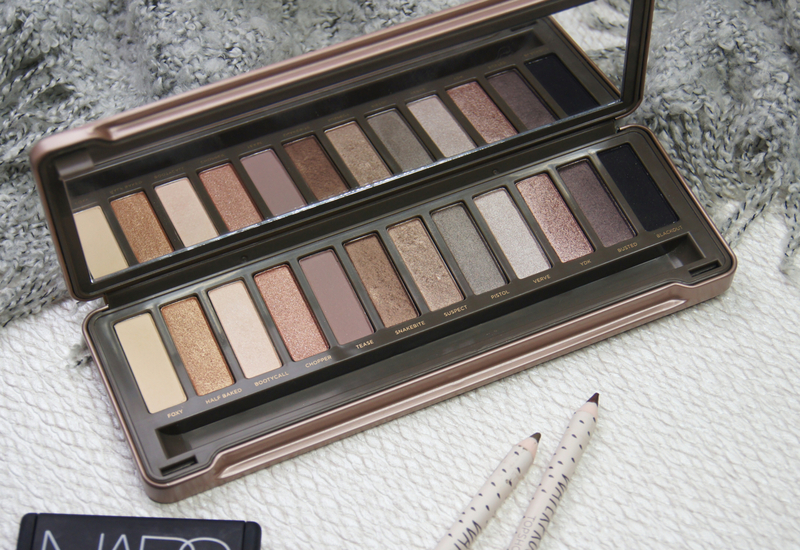 As it's much more cool-toned, compared to the others, the Urban Decay Naked 2 Eyeshadow Palette is the least-loved from my trio. Forcing myself to use it more, this was the only eyeshadow option I took with me on my trips away and my plan worked. Although many of the shades look worryingly frosty at first, especially in the second half of the palette, they're all really wearable once they've been buffed over generously. Now, I'm not just using it because I feel guilty, but because I adore the shades and have moved away from my golden-toned comfort-zone. Finally! The makeup trends of A/W always follow the same pattern, moving away from the bare-faced beauty of the summer season, to feature heavier, more sultry looks. For eyes, there's always smudgy, grungy finishes, earthier tones and lashings of lashes on the cards. To give my eyes a bit more drama recently, I've been applying more eyeliner than usual, along my waterline and blending it further underneath my bottom lashes. 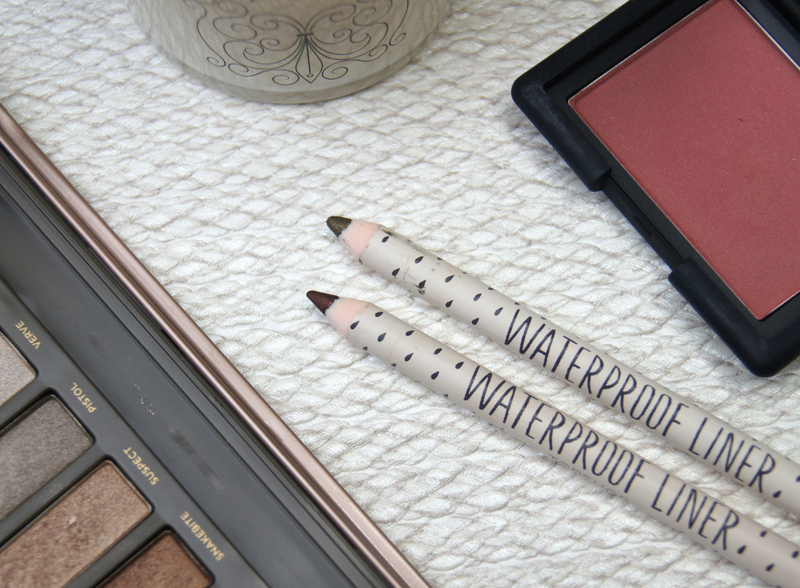 Some of my favourite eyeliners to use, have been the Topshop Waterproof Liners. Instead of sticking with traditional, boring blacks and browns, I've been wearing two, more autumn-appropriate shades. Burnished is a rich, warm bronze with a burgundy tinge to it and Earth is a muted, shimmering, golden olive with a hint of brown, that matches so well with my brown eyes and is a bit different to standard, eyeliner hues. These pencils are so soft that the colour draws on effortlessly, with barely any pressure needed to give strong pay-off. Although the liner is easy to blend straight away, it sets in place after a few seconds and lasts all day. 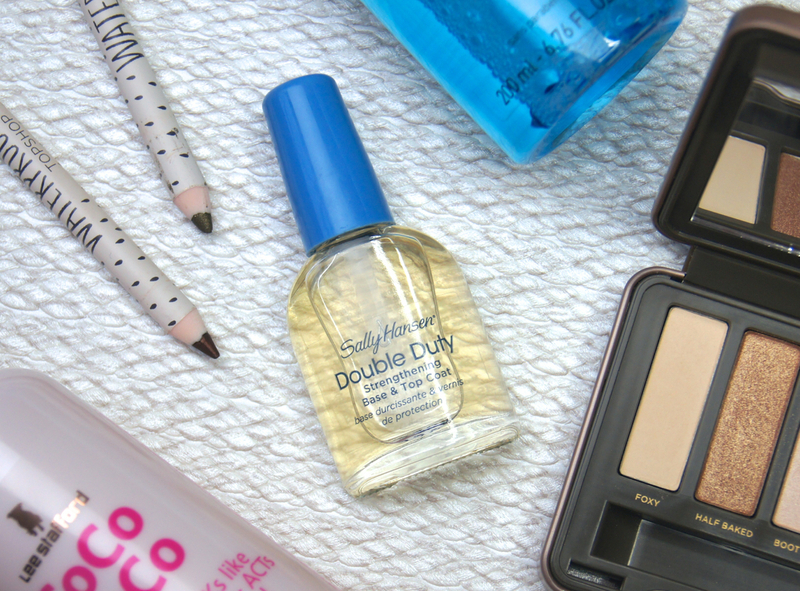 If used on the waterline, then you just need to sandwich the product with a couple of coats to extend the longevity. Although there's only two shades (black and charcoal grey) available online and the two I've mentioned aren't being sold, try looking in-store where there's a larger selection. Before a short trip away, I'll give myself a full manicure and won't bother to take my nail kit with me. But, without much time at home during October, I had to re-do my nails whilst away. To minimize the weight of my bags, I kept to one, varnish colour and thought I'd try the Sally Hansen Double Duty Strengthening Base & Top Coat. Thinking ahead, I thought it would make a great, triple threat, as both a base coat, top coat and nail treatment. Although I didn't have high hopes for it out-performing the likes of Seche Vite, I thought it could just tide me over. But, far exceeding my expectations, I've continued to use it at home, as well as on-the-go. Cutting down the time it takes to give my nails a revamp, it prevents nail painting from becoming tiresome. As a base coat, it smooths out any ridges in my nails and creates a smooth, clean canvas ready for polish, whilst effectively protecting my nails from staining. As a top coat, it seals any colour into place perfectly and holds up to wear and tear really well, leaving my nails with only very minor chipping after a week. Since using it, my bare nails don't feel as soft after I've removed any polish and they haven't split or peeled at all, which is something I often struggle with. Which products have you been loving recently? 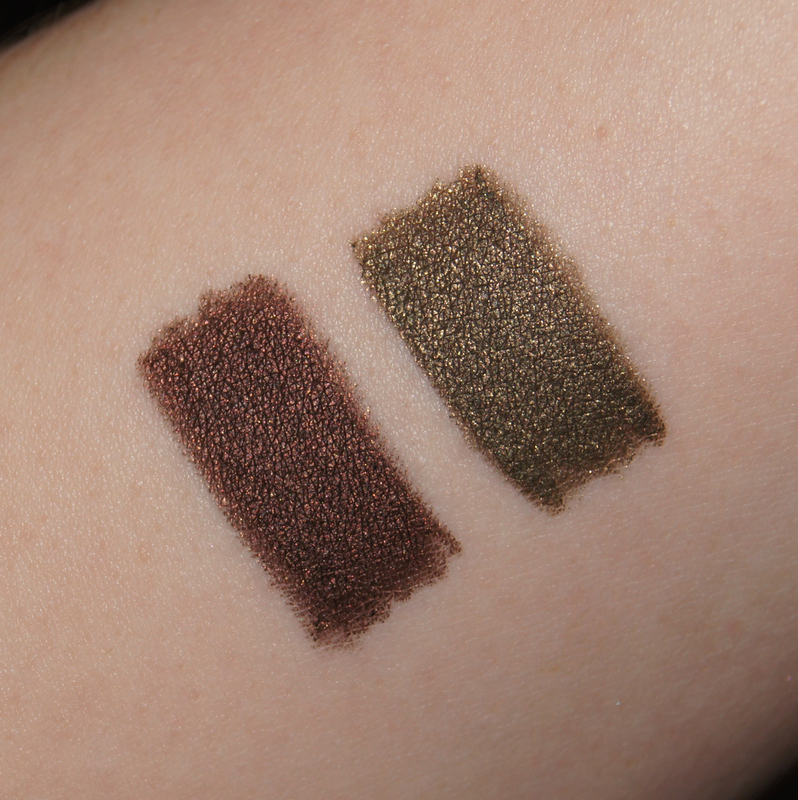 wow the topshop eyeliners look absolutely beautiful, so pigmented! Wow, those Topshop eyeliners look fantastic! Such unique shades. I wish Topshop in Canada carried more of their makeup line. 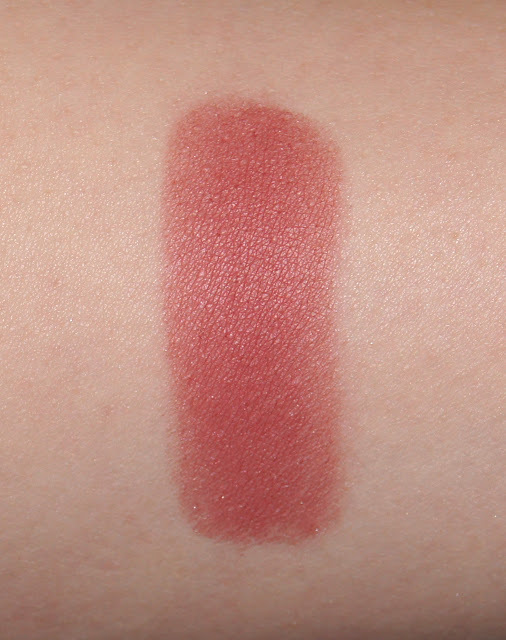 Dolce Vita also looks like such a stunning blush! 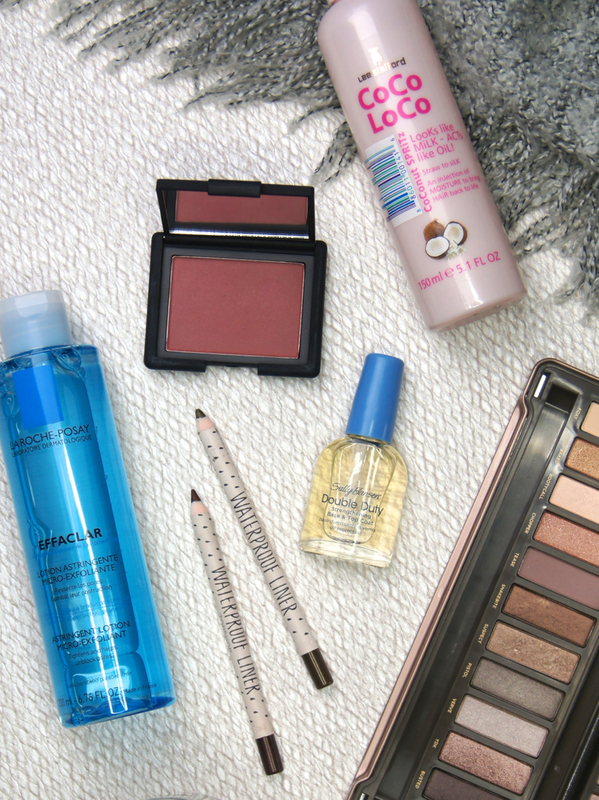 the naked 2 is my absolute fave, those topshop pencils look amazing as well! The blush is on my wishlist ! Is it Christmas already ? I love the UD palettes number 2 is a good one! I gave in and got the smoky one as well! First of all: YOUR SWATCHES ARE GORGEOUS. NARS blush and both of the eye pencils are so pretty!